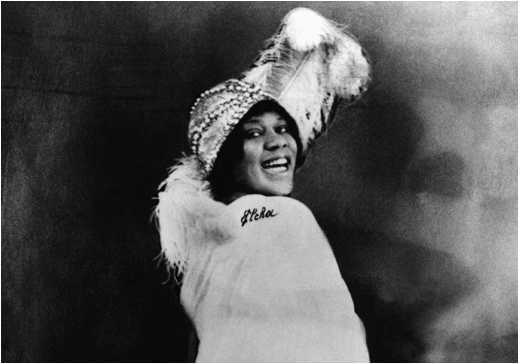 April 15, 2016 - Happy Birthday to Bessie Smith, the “Empress of the Blues.” Considered the greatest female blues singer of her time, Smith was born in either 1892 or 1894 in Chattanooga, TN in Blue Goose Hollow, which is now the intersection of MLK Blvd and Riverfront Parkway. She started her career by busking ontheChattanooga street corners, and developed her talent by performing on the East Nine Street scene, also known as the Big Nine, a once popular hub for blues and jazz performers. East Ninth Street is now MLK Blvd. Smith’s career took off when she traveled to perform with Ma Rainey, and she became the highest-paid black entertainer of her day, recording with blues legends such as Fletcher Henderson, James P. Johnson, Coleman Hawkins, Louis Armstrong and Benny Goodman. Smith managed to make a name for herself during a difficult time for her race and gender. In honor of Smith’s birthday, here is a special playlist of her music, so you can celebrate her legacy all day long.